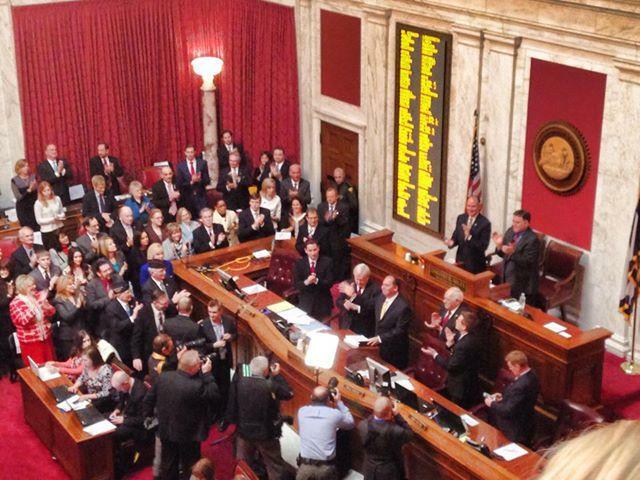 West Virginia Governor Earl Ray Tomblin will be the first guest on this season of The Legislature Today. He will discuss the recent chemical leak. The episode will be taped live today, and will air this evening at 6:30 on West Virginia PBS. The show airs Weekdays while the the legislature is in session. You can also hear the show at 6:30 on West Virginia Public Radio, or listen live on the internet. Updated: January 14, 2014 at 10:30 a.m.
As West Virginia American Water proceeds with the lifting of Do Not Use, we will refer to the localities being lifted as "areas." Yesterday, we used the term "zones" to describe the four primary locations close to the Kanawha Valley treatment plant where we were able to lift the ban and ensure that the transition did not disrupt our production and distribution system. The areas where we are lifting the Do Not Use orders are based on pressure zones, and the order of the lift announcements are determined by where acceptable test results obtained from samples have been confirmed. If you have any questions when a new Do Not Use lift is issued, please refer to the map listed under “Do Not Use Water” section of our website at www.westvirginiaamwater.com. Updated: January 13, 2014 at 9:52 p.m.
Also, the water company announced the fourth zone will end Monday's flushing process for the day. More zones will be approved for flushing Tuesday. "After lifting the "do not use" order for 26,000 customers today, the system needs time to settle so our operators can measure how it is reacting to the flushing activity. Therefore, we will not lift any additional zones tonight. We will provide updates on the next lift zone early Tuesday morning. Thank you for your continued patience and cooperation." Updated: January 13, 2014 at 7:14 p.m. Zone 3, containing most of South Charleston, has now been cleared to start flushing systems within their homes and cleaning appliances. Make sure you are checking the West Virginia American Water interactive map to make sure your zone's advisory has been lifted before beginning the flushing process. The map can be found at the link below. Updated: January 13, 2014 at 5:49 p.m. Through a news release, Facebook, and Twitter, West Virginia American Water has announced the ban on the second zone has been lifted, which includes nearly all of the Kanawha City area. Original Story Posted January 13, 2014 at 1:52 p.m. 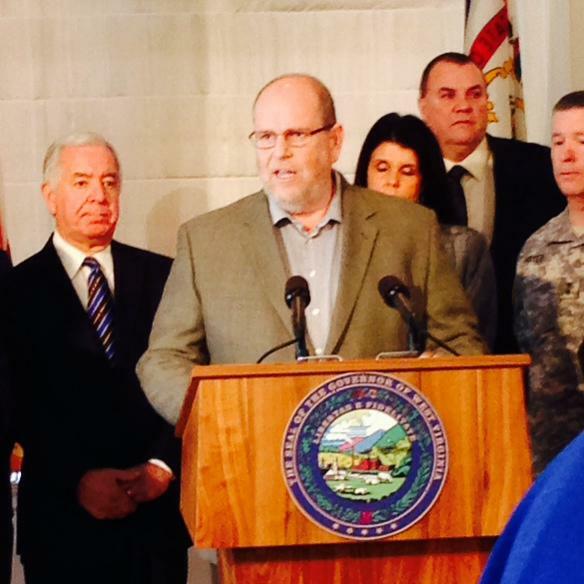 Governor Tomblin, West Virginia American Water, and other officials made the announcement that the flushing process could begin at a Monday news conference just after noon. A ban on tap water has been lifted in part of West Virginia that was hit by a chemical that spilled into a river and tainted the water supply. Gov. Earl Tomblin made the announcement at a news conference Monday, five days after about 300,000 people were told not to drink, wash or use the water in any way other than to flush their toilets. Officials are lifting the ban in a strict, methodical manner to help ensure the water system is not overwhelmed by excessive demand, which could cause more water quality and service issues. The water crisis started Thursday when the chemical used in coal processing leaked from a Freedom Industries plant into the nearby Elk River. It's still not clear exactly what caused a tank to start leaking the chemical. The water company has also provided highly detailed step-by-step instructions for customers to refer to once their zone has been cleared for the flushing process. Gov. 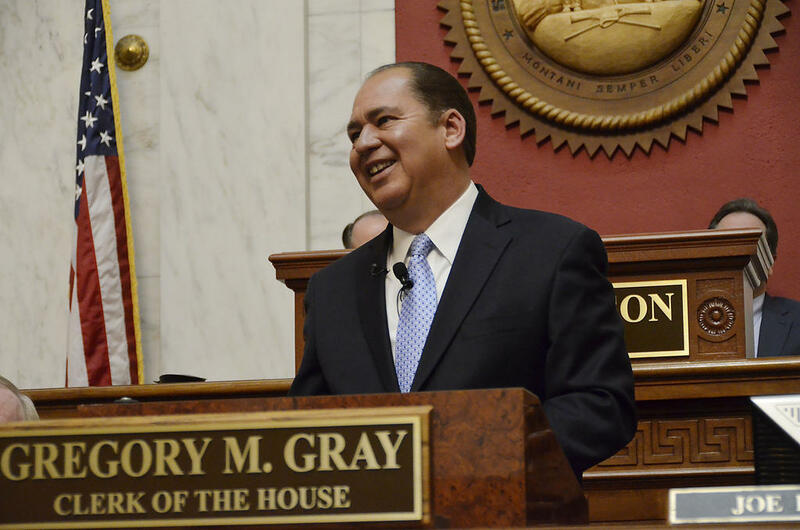 Earl Ray Tomblin delivered the 2014 State of the State Address Wednesday night in the House Chamber at the State Capitol. "Mr. Speaker, Mr. President, Members of the Legislature, Members of the Board of Public Works, Justices of the Supreme Court of Appeals, Members of the State Board of Education, distinguished guests, and my fellow West Virginians.